Get Smocked aprons are colourful, fun and unique in a range of designs that you can individualise in many ways - colour, name, and design. 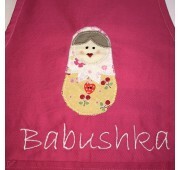 The personalised children's aprons are terrific for cooking in the kitchen with all handmade aprons suiting the budding master chef. 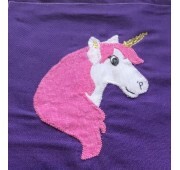 Every apron is unique with different colours or stitching. 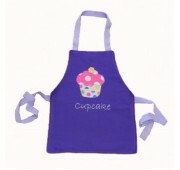 The cooking aprons for sale in this store are suitable for all ages from children's apron to adult aprons. Our cotton children's aprons through to adult aprons are proudly designed and made in Australia from quality hard wearing material with the highest quality tailored finish. Made in three different sizes and of colours you can select one to suit your personal preference these are perfect as personalised children's aprons. All aprons are reversible so can be worn either side - when one side gets dirty, turn it around and use the other. 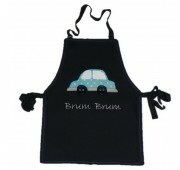 All aprons are ideal as presents either as a birthday present or christmas present. 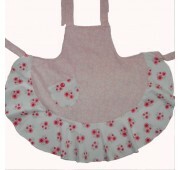 There are pink aprons or lilac aprons or purple aprons and many more colours. 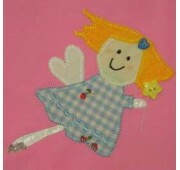 They can be used as a chef apron in the kitchen or simply used when kids are playing. 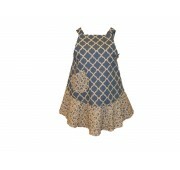 With various sizes they are great as a toddlers apron or older children's apron right through even to adult aprons. 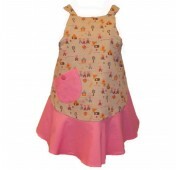 There are many different designs to cater for all your needs including boys aprons with a car apron, truck apron, dinosaur apron and football apron or girls aprons with a cupcake apron, butterfly apron and fairy apron. 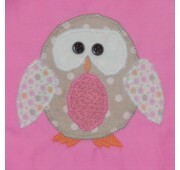 This means there are designs great as a boys apron or for a girls apron. If you cant find a design but are really keen something just a little different in a handmade apron please contact us as we take special orders for all our items. Come into our store where you can buy childrens sized aprons through to adult aprons or look through our catelog of clothing and gift ideas.